The Takamine LTD-2005. 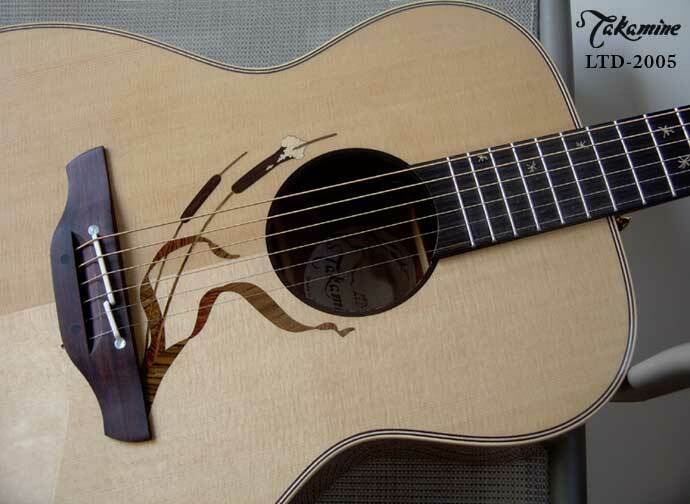 Inspired by a peaceful scene from an Autumn afternoon, Bob used the graceful lines of cattails bending in the breeze to compliment the curves and soundhole of the guitar body. The fingerboard inlays are the delicate seedheads of the cattail carried by the breeze across the neck.